For the past several years, homebuyers from overseas, especially China, have been investing in Seattle real estate. Known for paying cash and often purchasing without first seeing the home in person, the influx of foreign buyers has contributed to rising home prices in the Greater Seattle area. According to Juwai.com, a real estate portal that assists Chinese consumers looking to buy property overseas, 38 percent of Seattle buyers from China purchase residential property primarily as an investment. Some of those buyers might also live in their new home or allow family members to live there, but in other cases, the homes remain empty until they’re ready to sell again. 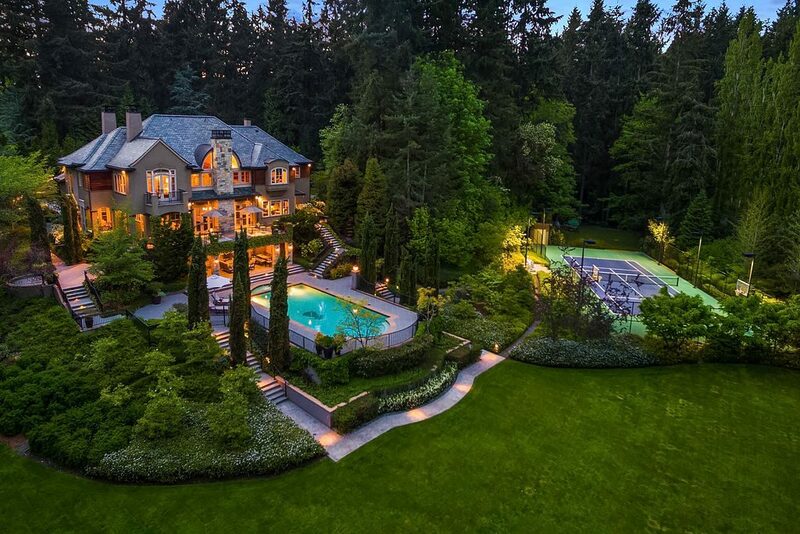 Luxury homes in West Bellevue and on the Lake Washington waterfront are particularly in demand. Realtors in the area have said that half or more of their business now comes from foreign home buyers, reports the Seattle Times. However, this trend may be winding down. A new annual survey from the National Association of Realtors shows foreign home sales across Washington state dropped to $1.55 billion for the year ending in March, down 24 percent from $2.05 billion in the previous year. That drop means Washington fell out of the top 10 states attracting foreign homebuyers. The decline in interest can be attributed in part to the skyrocketing home values in the Seattle area. Seattle area home prices have roughly doubled in the last five years and have grown twice as fast as the national average since 2016, according to Case-Shiller data. Foreign buyers are now turning to states like Texas and Arizona, where real estate investment is more affordable. But as the Seattle Times points out, the activity of foreign buyers should be taken with a grain of salt. The full impact of foreign investment isn’t certain because buyers don’t report their country of residence. The National Association of Realtors report relies on feedback from about 6,000 real estate agents from around the country who responded to this year’s survey. Juwai.com tracks foreign interest by reviewing search data on its website. What we do know is that single-family home prices across Greater Seattle are off the charts, increasing at a rate that rivals the housing price increase in 2006, right before the recession. Round and round Seattle goes, where she stops, nobody knows.